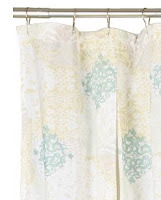 This sturdy cotton voile shower curtain has subtle charms—a quietly gorgeous print and a cool pleated construction. Originally $88. From Anthropologie.